Empanadas originate from Spain, and can be made with endless fillings and in different forms. 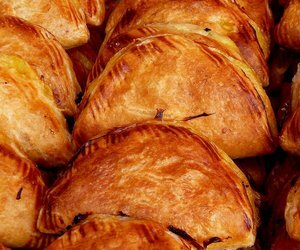 In fact, each region of Spain has its own typical type of empanada. 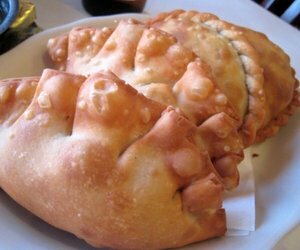 There, it’s normal to use the name "empanadilla" for the small fried empanadas that can be eaten by hand, and “empanada” for baked pies of a large, rectangular or square size, which are served cut in portions. Although you can’t really speak of a single empanada recipe, there are a number of characteristics that have to be in every empanada that’s cooked: the stuffing, always chopped, has to be wrapped in dough, and it has to be closed in at the ends. The empanada dough with its filling inside is always cooked, either fried or baked. The "empanadas" that have become popular all over the world are the typical Spanish empanadillas, individual portions very appropriate for take away that, independent of the filling (you can have meat, chicken, vegetables, tuna, seafood, etc. ), are almost always made with short crust dough. The best known are the Mexican empanadas, but also those from Argentina, Creole, Peru, etc. are very famous too. The truth is that most empanada recipes lend themselves to the two options: to fry or bake. The difference is that fried empanadas are crispier and tastier than the baked ones. For your first empanadas to be a guaranteed success, we’ll show you a typical easy empanada recipe with homemade dough and a really tasty chicken empanada filling. Delicious chicken empanadas with homemade fried dough: an easy recipe for an extraordinary flavor. If you're wondering how to make empanada dough, here's the solution: in a bowl, mix the semi-melted butter with the eggs and salt. Stir with a whisk. Next, add the sifted flour in batches, and mix first with a spoon, and when it’s getting to the right consistency, directly with the hands. Make a ball with the empanada dough when all its ingredients are perfectly mixed, put it in a clean bowl, cover with cling wrap, and let it rest in the refrigerator while you make the empanada filling. Cook the chicken breast in salted water for 20 minutes. Drain it, and shred it. Keep it to one side. Heat 3 tablespoons of olive oil in a frying pan and add the finely chopped onion and pepper. Sauté over a medium heat for 10 minutes. Add the tomato puree and the white wine, stir, and continue to cook for another 2 minutes. Pour in the shredded chicken meat along with chicken seasoning and oregano, and sauté all together for 5 more minutes. Let it cool. Pour the empanada filling into a deep dish, and mix with the eggs which have been chopped into small pieces. Remove the empanada dough from the refrigerator, and spread it on a clean countertop with a little flour. Roll with a rolling pin until it’s between 2 and 3 millimeters thick. Use a hoop or a wide-mouth cup to cut circles about 10 centimeters in diameter. With the remaining dough, make it into a ball, roll it again, and use it to make more empanadas. Place a tablespoon of empanada filling on each portion of dough, until you’ve used all the filling. Close them up, close the edges and press with a fork handle to make them well sealed. Heat a frying pan with plenty of olive oil, and when hot, fry your chicken empanadas until golden brown. 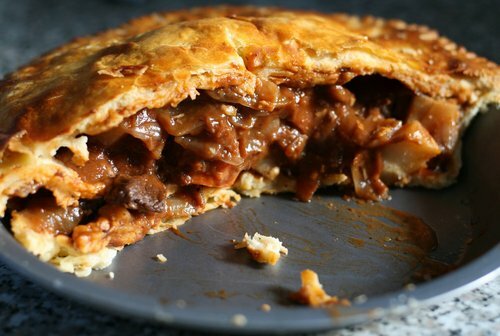 As you’ll see, if instead of the traditional chicken empanadas you prefer to change meat, the beef empanada recipe would be exactly the same as this one, but obviously changing the chicken meat for beef. In addition, in order to make the recipe easier still, it’s very common to make the empanadas with minced meat. Alternatively, if you prefer to avoid fried food in your diet, you can make baked empanadas with the same dough and filling, painting all the empanadas with beaten egg as a glaze to make them look bright and appetizing, and baking them for 20 minutes at 175ºC (in a fan oven). Once you know how to make empanadas, you’re sure to be curious about making other recipes for typical empanadas, such as Mexican empanadas, which are probably the most famous empanadas in the world for their rich filling. The recipe for empanadas in the Mexican style is characterized by the use of minced meat (usually beef), and including garlic (two well-chopped cloves is sufficient), chipotle peppers, and spices such as thyme and pepper in the “sofrito” (which is the sauce). Mexican empanadas also usually have a spicy touch that you get with the use of pepper and Tabasco. In addition, once the filling has been cooked, the Mexican empanadas replace the boiled egg with semi-cured cheese in cubes, which adds a little more flavor to the recipe. Although there are different regional versions of the empanada dough, they don’t have to influence the final result. 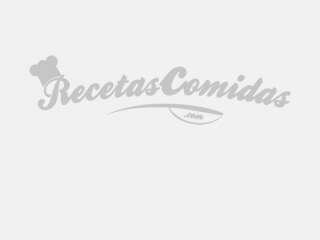 Here you can consult endless delicious and original empanadas recipes, in Spanish, all with some characteristic element.